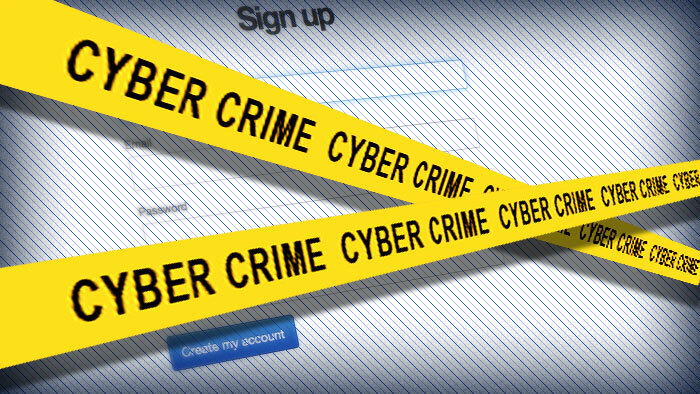 Have you been affected by Cyber Crime? Our Advice: Protect yourself online. Choose strong, long passwords & keep them safe. Regularly change them. Don’t open attachments in emails that you’re not expecting – they could contain a virus. Download an anti-virus software package, which provides online banking security, onto every PC or laptop device that they use to access online eBanking. Most banks provides WSA Antivirus software free of charge – contact your bank for details. Being affected by Cyber Crime can be an upsetting experience which may result in both financial and data loss. Protect your personal information: Do not share with anyone online or on the phone. Never EVER divulge your password or the code for your online banking to anyone – NOT EVEN YOUR BANK. If you suspect you are the victim of cyber crime act immediately. Contact your bank. Regularly read all security recommendations on your bank website. With the advent of technological innovation and, more specifically and recently, the internet, there has been a growing need for and development of electronic fund transfer (EFT) payment systems. It is increasingly recognised that large-scale technology is a two-edged sword: on the one hand, it has the potential for creating new opportunities and solutions to current problems, however, on the other hand, left unattended, it may create new problems. Cyber Crime is complex, it can range from someone obtaining your personal details to full business systems being hacked. There has been some high profile cyber attacks in the media that you may be aware of. It is vital to also be safe online. This occurs when someone knowingly uses, causes to be used, or accesses a computer, computer network or computer service without proper authorisation. This also includes Obtaining Information by Unauthorised Access. Also referred to as Damage/Espionage/Fraud – This occurs when a person gains unauthorised use of computer(s), and does so with the intent to commit, attempt or further the commission of another offence, and/or knowingly gains access to computer material. Computer tampering – occurs when a person has committed unauthorised use of a computer(s) and intentionally alters or destroys someone else’s computer data and/or computer program. This occurs when a person communicates, anonymously or otherwise, with another person by transmitting or delivering any form of written communication or causes a communication to be initiated by electronic means with the intent to harass, annoy, threaten or alarm that person, that person. This occurs when a person has committed unauthorised use of a computer(s) and intentionally alters or destroys someone else’s computer data and/or computer program. Cyber Crime is happening all around us. Always be vigilant. If you suspect foul activity contact your bank or software provider immediately. Being the victim of Cyber Crime can be a traumatic experience. Our expert team are available to offer free advice regarding your claim. If you or your company are the victim of Cyber Crime talk to our expert team today. If you need help or advice on what to do, there are several ways of getting in touch with us. Our team aim to respond within 24 hours.